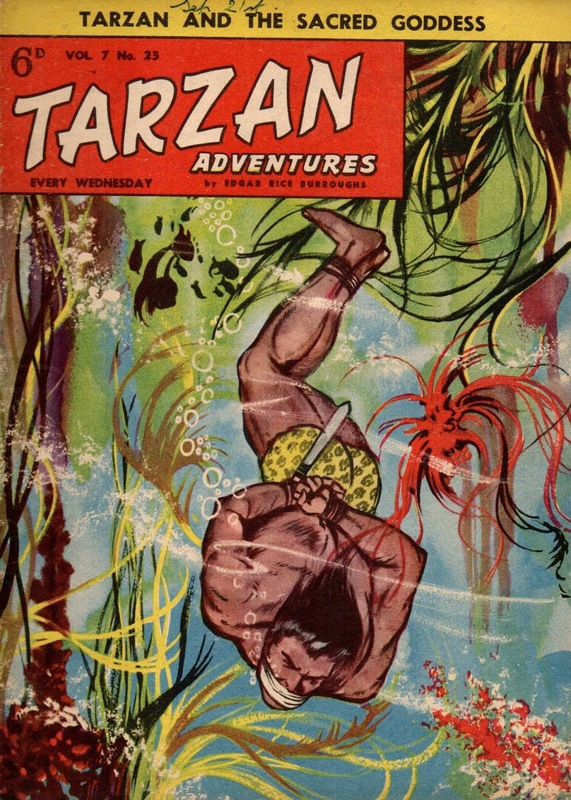 One such comic was Tarzan Adventures. 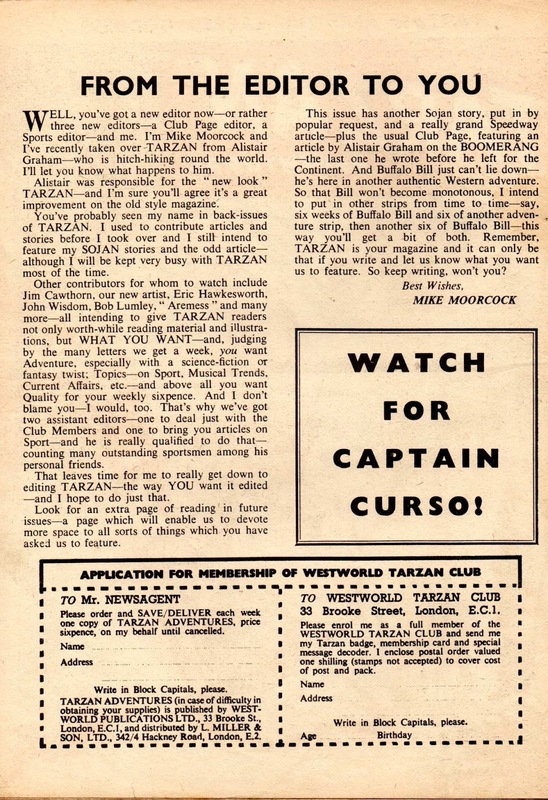 The first issue I obtained was dated 28 April, 1956 (Vol 6 no.4). It was hit-and-miss, alas. 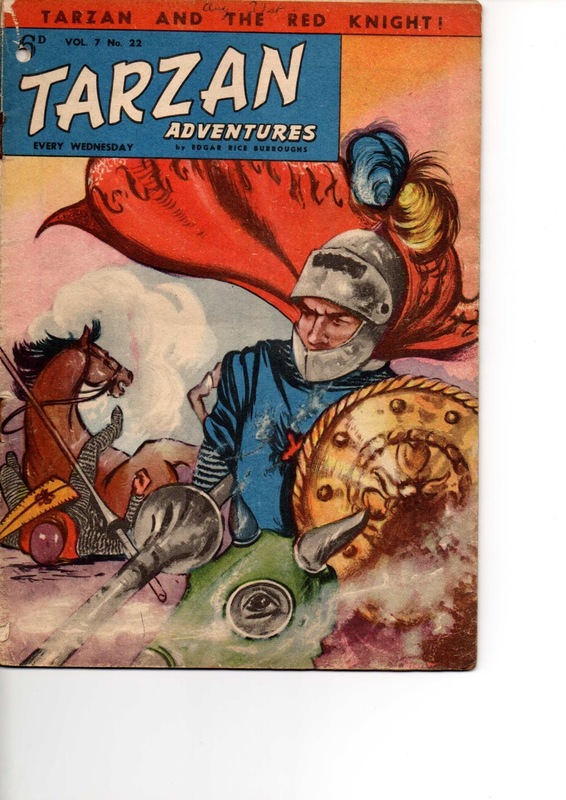 Most of the copies I have are not in particularly good shape. 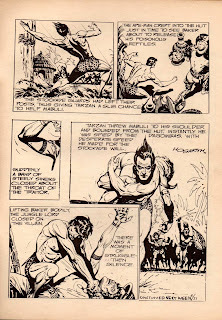 At the time, little did I appreciate that a new editor for these comics would become an internationally famous author. 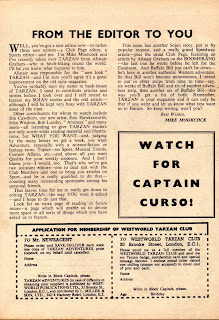 Michael Moorcock announced taking over editorship in the 21 September 1957 issue (Vol 7 no.25); he was seventeen. 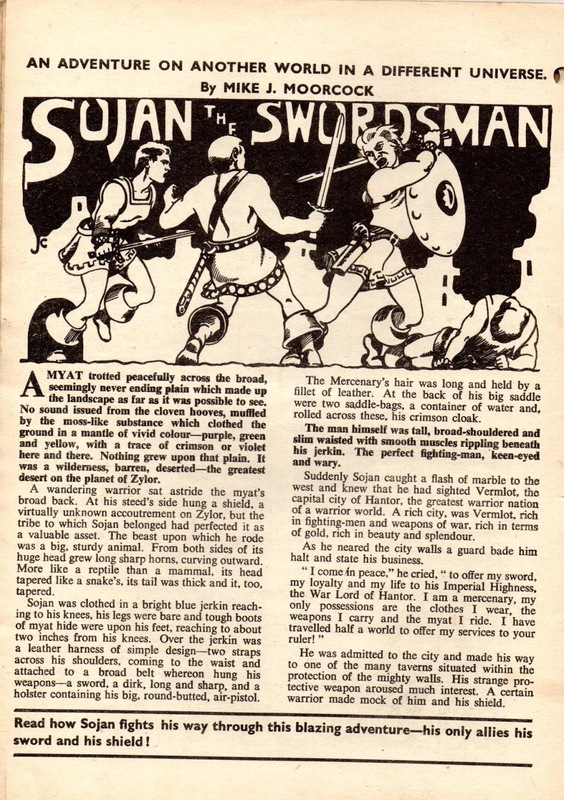 The comic had featured some of his fantasy stories about Sojan the Swordsman, and continued to do so while he was editor. 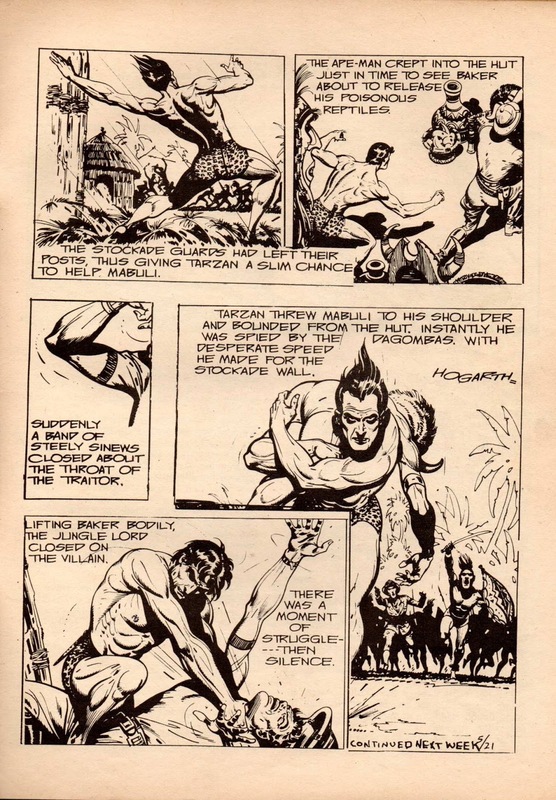 Tarzan Adventures reprinted American comic strips in black and white, often chopping up the illustrations to fit the page format, as can be seen in this example (Vol 7 no.43), art by Burne Hogarth. Moorcock started writing at school in 1950 and still continues, aged 76. His output is prolific and prodigious. 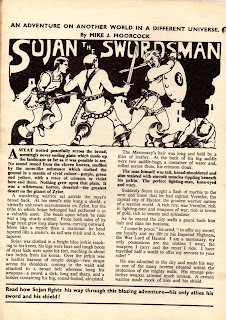 At one time he could produce a fantasy novel (about 50,000 words) virtually over a weekend. He has said he could write 15,000 words a day, and asserts that his Hawkmoon books were written in that manner (1967-69).